Fact proves far stranger than fiction in this collection of real-life crimes, scandals, tragedies and murders which either influenced the works of the world's most popular mystery writer or affected the lives of many famous personalities involved in her long and brilliant career. Discover the truth behind many of her books, such as how the exploits of Jack the Ripper inspired the serial killings in The ABC Murders and how the plot twist in The Murder of Roger Ackroyd was suggested by Lord Mountbatten. This book also reveals how many of her illustrious acquaintances found themselves immersed in episodes so bizarre that they could have been written by Christie herself, including how the father of Miss Marple actress Margaret Rutherford committed murder and Poirot actor Peter Ustinov witnessed the assassination of a world leader. Agatha Christie's True Crime Inspirations is a fascinating addition to Christie literature, focusing on little-known parts of this inconic writer's life and career. From her early roots in Torquay to her infamous eleven-day disappearance, no stone is left unturned as the events of her own life are revealed to be every bit as intriguing as her world-renowned novels. This book attempts to show the "true-crime" origins of a number of Agatha Christie novels and short stories. To my mind it falls well short of this aim. It feels like a poorly structured and badly written undergraduate thesis. I remained unconvinced in most chapters of the links that the author attempts to claim between the story named and the "facts" described. For much of the time there is far too much historical detail given and not enough correlation shown. 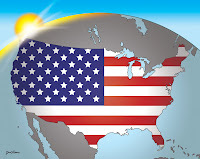 Some of the chapters ramble, and in reality we needed a much closer discussion of the plot of the novel or story and the factual elements claimed. For example, I could not really see the connection between the ABC murders and Jack the Ripper, despite a throw away line by Hercule Poirot to Captain Hastings. And there is almost no relevance to Cat Among the Pigeons which was an entirely different novel. Similarly while we might agree that Lady Mary Westholme was modelled on Lady Astor, that is really where the connection with the plot of Appointment with Death ends. A very disappointing, almost trivial, book that frustrated me beyond measure. 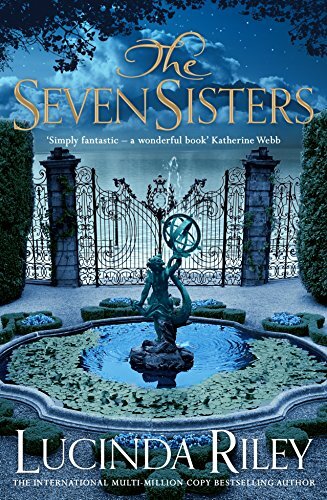 Maia D'Apliése and her five sisters gather together at their childhood home, 'Atlantis' - a fabulous, secluded castle situated on the shores of Lake Geneva - having been told that their beloved father, the elusive billionaire they call Pa Salt, has died. Maia and her sisters were all adopted by him as babies and, discovering he has already been buried at sea, each of them is handed a tantalising clue to their true heritage - a clue which takes Maia across the world to a crumbling mansion in Rio de Janeiro in Brazil. Once there, she begins to put together the pieces of where her story began . . .
Eighty years earlier, in the Belle Epoque of Rio, 1927, Izabela Bonifacio's father has aspirations for his daughter to marry into aristocracy. Meanwhile, architect Heitor da Silva Costa is working on a statue, to be called Christ the Redeemer, and will soon travel to Paris to find the right sculptor to complete his vision. Izabela - passionate and longing to see the world - convinces her father to allow her to accompany him and his family to Europe before she is married. There, at Paul Landowski's studio and in the heady, vibrant cafés of Montparnasse, she meets ambitious young sculptor Laurent Brouilly, and knows at once that her life will never be the same again. In this sweeping epic tale of love and loss - the first in a unique, spellbinding series of seven books, based on the legends of the Seven Sisters star constellation - Lucinda Riley showcases her storytelling talent like never before. While there is plenty of mystery in this novel, it is not crime fiction. There is also plenty of human interest to keep you reading, as Maia D'Apliése, adopted soon after birth, searches for the truth about her parentage. She and her 5 sisters, all adopted is shocked to learn of the death of their adoptive father, Pa Salt. They are also told that he has already been buried at sea. For each of them he has left some clues about their parentage, if they want to take up the search. Maia's journey takes her to Brazil and back 4 generations, which sometimes becomes a bit confusing (to the reader). I very much enjoyed this story and am already looking forward to the next in the series. Lucinda Riley was born in Ireland, and after an early career as an actress in film, theatre and television, wrote her first book aged twenty-four. Her books have been translated into over thirty languages and sold thirteen million copies worldwide. She is a Sunday Times and New York Times bestseller. When the supposed murderer is identified Banks and his team find it hard to reconcile this conclusion with the opinion everyone who knew him has of the murderer. Nor does there seem to be a cogent motive. It is one of those cases where the ends don't tie up. If you are a follower of the Inspector Banks TV series then you will notice there are some serious differences between the direction that series has taken and what happens in the books. For me it provided some confusing moments. Nevertheless this was a "good listen", well narrated (with voice characterisation) by Mark Meadows. When an author event at the local library ends in murder, Jude finds herself a suspect in the waspishly witty new Fethering mystery. Having been booked to give a talk at Fethering Library, successful author Burton St Clair invites his old friend Jude to come along. Although they haven't met for twenty years, Jude is not surprised to find that St Clair hasn't changed, with his towering ego and somewhat shaky relationship with the truth. What Jude hadn't been suspecting however was that the evening would end in sudden, violent death. More worrying, from Jude's point of view, is the fact that the investigating police officers seem to be convinced that she herself was responsible for the crime. 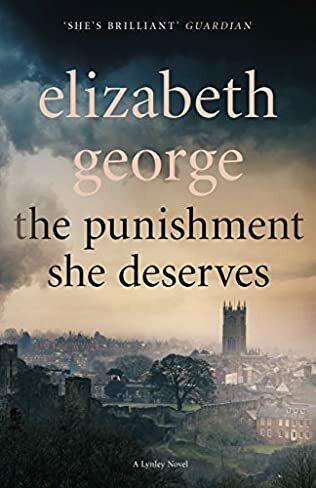 With the evidence stacking up against her, Jude enlists the help of her neighbour Carole not just to solve the murder but to prevent herself from being arrested for committing it..
Another lovely outing in the Fethering series with Jude and Carole. 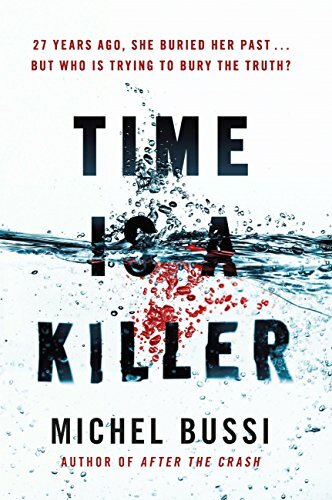 In this one Jude becomes a victim of lies told by some one she knew 20 years earlier, and then the prime suspect in the murder of her former friend's husband. After some initial sleuthing she is warned off doing any more by the police and has to hand everything over to Carole. This is a series I have really enjoyed. 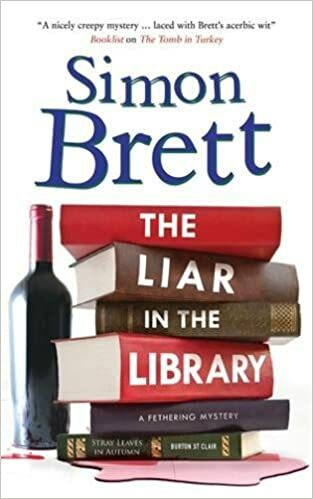 Simon Brett has been publishing them now for 18 years. If you have not read any of them, I suggest you start with #1. I have listed the series below. One year ago, Caroline Johnson chose to end her life brutally: a shocking suicide planned to match that of her husband just months before. Their daughter, Anna, has struggled to come to terms with their loss ever since. Now with a young baby of her own, Anna misses her mother more than ever and starts to ask questions about her parents’ deaths. But by digging up the past, is she putting her future in danger? Sometimes it’s safer to let things lie . . .
Anna Johnson is a wealthy young woman, a young mother, with a baby just 2 months old, conceived after her mother dies. The father of her daughter is the grief counsellor she saw after her mother died. In the last 18 months both her father and her mother have committed suicide by jumping off Beachy Head, with her mother's death apparently a copycat of her father's. Now, 12 months to the day, Anna gets a card in the post questioning whether her mother's death was suicide. She reports to the card to the police, to Murray, an ex-detective now assisting at the police station as a civilian. Murray remembers the suicides, seven months apart, and decides to do a little investigation of his own. 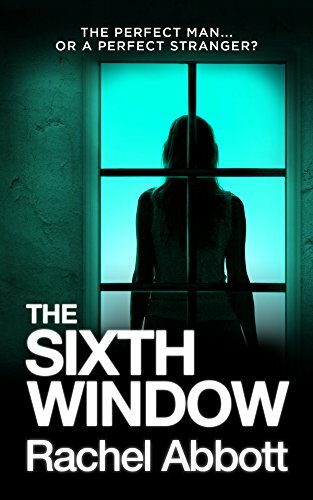 The structure of the book builds the suspense, with several points of view: Anna's, Murray's and then an unidentified voice who appears to be one of the suicides. Anna becomes convinced that someone is telling her that her mother was murdered, possibly her father too. Eighteen months after Natalie Gray loses her husband, Bernie, in a horrific hit-and-run accident, she finds love with his best friend, Ed Cooper, and moves into his home with her teenage daughter, Scarlett. But she begins to suspect Ed has a dark side - and even darker intentions. Natalie must get her troubled child to a safer place, but when Scarlett starts to hear voices coming from the empty apartment next door it seems she has unwittingly moved them into the heart of danger. DCI Tom Douglas is also chasing the truth. As his investigation into the suicide of a teenage girl draws him ever closer to Natalie and Scarlett, will he be too late to protect them from the threat they face or from the truths that will tear their lives apart? Each of the main stories in this series can be read on its own although the main detective DCI Tom Douglas and his back story hold the series together providing a thread of continuity. Bernie Gray was a young policeman killed in a hit and run accident when he was out on his morning jog. The driver was assumed to be a young joyrider and the case was never solved. Eighteen months on, new evidence leads to a closer scrutiny of the case and some links to a current case. Tom Douglas's team interviews the widow and her daughter and some things emerge that they had not mentioned in the earlier interviews. Another very enjoyable read from Rachel Abbott. Highly recommended. Now I just have #5 in the series to read. 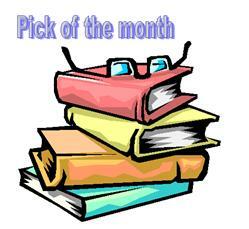 A good selection again this month with an excellent new Australian novel heading the list. It is summer 1989 and fifteen-year-old Clotilde is on holiday with her parents in Corsica. On a twisty mountain road, their car comes off at a curve and plunges into a ravine. Only Clotilde survives. Twenty-seven years later, she returns to Corsica with her husband and their sulky teenage daughter. Clotilde wants the trip to do two things - to help exorcise her past, and to build a bridge between her and her daughter. But in the very place where she spent that summer all those years ago, she receives a letter. From her mother. As if she were still alive. As fragments of memory come back, Clotilde begins to question the past. And yet it all seems impossible - she saw the corpses of her mother, her father, her brother. She has lived with their ghosts. But then who sent this letter - and why? An intriguing book which keeps the brain working at the little mysteries that the author presents for resolution. We mainly see the story through Clotilde’s diary which she kept in the days before the car crash that killed her father, mother and brother. But we know that the diary is not in Clotilde's hands, so who is it reading the story to us? And how reliable was Clotilde's point of view? She was after all only 15 years old and brought a teenager's interpretation to her observations. Twenty seven years later Clotilde, now a successful Parisian lawyer, brings her family to Corsica for the first time, and becomes obsessed with the idea that her mother is still alive. But how can that be? Surely the bodies in the car were identified at the time. And then little things beginning to occur which could not be coincidence. Clotilde’s obsession strains her marriage. Then a retired policeman tells her that he has proof that the car crash was not an accident. Her father's car had been tampered with. Her family was murdered. A slightly lower rating than I might have otherwise have given, due to some reservations about the final pages. Many crime fiction bloggers write a summary post at the end of each month listing what they've read, and some, like me, even go as far as naming their pick of the month. This meme is an attempt to aggregate those summary posts. It is an invitation to you to write your own summary post for May 2018, identify your crime fiction best read of the month, and add your post's URL to the Mr Linky below. If Mr Linky does not appear for you, leave the URL in a comment and I will add it myself. You can list all the books you've read in the past month on your post, even if some of them are not crime fiction, but I'd like you to nominate your crime fiction pick of the month. You are welcome to use the image on your post and it would be great if you could link your post back to this post on MYSTERIES in PARADISE.